In the second study researchers of the University of Georgia in Athens investigated the association between state laws on medical cannabis and opiate prescriptions among certain patients in the Medicare program, a national social insurance program administered by the federal government. 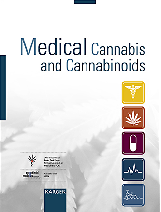 They wrote: "This longitudinal analysis of Medicare Part D found that prescriptions filled for all opioids decreased by 2.11 million daily doses per year from an average of 23.08 million daily doses per year when a state instituted any medical cannabis law. 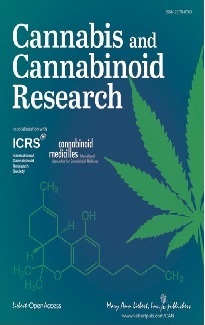 Prescriptions for all opioids decreased by 3.742 million daily doses per year when medical cannabis dispensaries opened.” They concluded that "combined with previously published studies suggesting cannabis laws are associated with lower opioid mortality, these findings further strengthen arguments in favor of considering medical applications of cannabis as one tool in the policy arsenal that can be used to diminish the harm of prescription opioids." A CBD-rich cannabis extract may be beneficial for symptomatic treatment of ulcerative colitis. This is the result of a placebo controlled study conducted by scientists of Guy's and St Thomas' NHS Foundation Trust in London, UK. Of 60 patients 29 received a capsulated cannabis extract and 31 received a placebo for 10 weeks. Authors noted that the extract also contained a number of other compounds including up to 4.7 percent THC. Mean daily doses of CBD were about 300 mg, taken in two doses of 150 mg in the morning and evening, corresponding to an additional dose of about 14 mg of THC. There was no difference between the cannabis group and the placebo group in the percentage of patients in remission after treatment. However, quality-of-life and global assessment of illness severity was better in the cannabis group than in the placebo group. There was a number of adverse effects, which according to the authors may be attributed to the THC in the extract. However, improvements may have also been caused by THC. The Food and Drug Administration (FDA) is requesting interested persons to submit comments concerning abuse potential, actual abuse, medical usefulness, trafficking, and impact of scheduling changes on availability for medical use of five drug substances. These comments will be considered in preparing a response from the United States to the World Health Organization (WHO) regarding the abuse liability and diversion of these drugs. Comments have to be submitted not later than 23 April 2018. According to a study, which investigated the transfer of THC from cannabis using mothers into breast milk, 2.5 percent of the maternal dose is transferred into the mother’s milk. The estimated daily infant dose was 8 micrograms per kilogram, which would be 0.04 milligrams for a child of 5 kg, if the mother inhaled cannabis containing 23 mg THC as used in the study. Texas Tech University Health Sciences Center, Amarillo, USA. Bisphenol A, which is a chemical widely used in the industry, may inhibit FAAH (fatty acid amide hydrolase), which may cause a rise of plasma endocannabinoid levels. In a study mice have been given a synthetic cannabinoid (CP-55,940), which acts similar as THC at the CB1 receptor, for several days. CBD reduced their withdrawal symptoms after discontinuation and changes caused by the administration of CP-55,940. Instituto de Neurociencias, Universidad Miguel Hernández-CSIC, Alicante, Spain. In a placebo-controlled study with 36 patients with schizophrenia, who received stable antipsychotic medication, CBD had no effect on cognitive impairments. Participants received either 600 mg of oral CBD for 6 weeks or placebo. There were no differences in side effects between placebo and CBD with the exception of sedation, which was found more often in the CBD group. A survey of emergency department visits in Colorado from 2005 to 2015 revealed 4202 cannabis -related visits and an increase of cannabis -related visits by adolescents between 2009 (before the legalisation of cannabis) and 2015 (after the legalisation of cannabis).